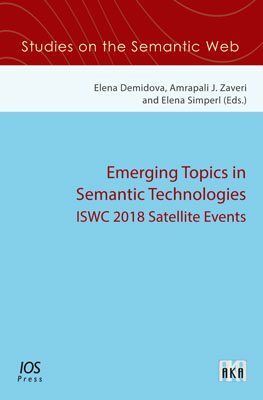 This book includes a selection of thoroughly refereed papers accepted at the Satellite Events of the 17th Internal Semantic Web Conference, ISWC 2018, held in Monterey, CA in October 2018. The key areas addressed by these events include the core Semantic Web technologies such as knowledge graphs and scalable knowledge base systems, ontology design and modelling, semantic deep learning and statistics. Furthermore, several novel applications of semantic technologies to the topics of IoT, healthcare, social media and social good are discussed. Finally, important topics at the interface of the Semantic Web technologies and their human users are addressed, including visualization and interaction paradigms for Web Data as well as crowdsourcing applications.